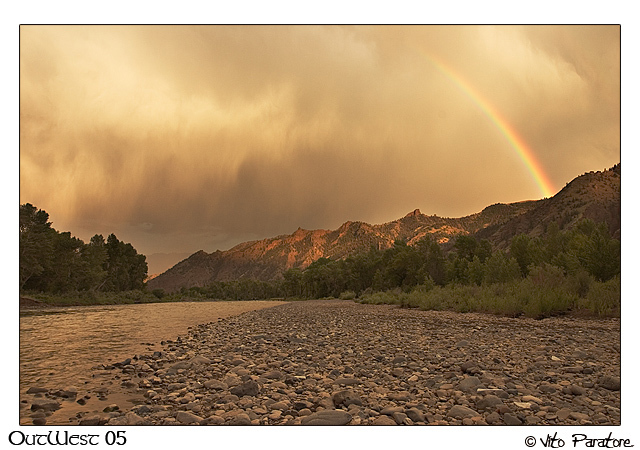 a shot i took on my trip, out west, down by Yellowstone..
Hey Vito - Beatiful shot and location !! Fantastic Vito! Wow, I would love to be looking at this in person while I have my morning cup of coffee!!! I look forward to more from your trip!!!! The rainbow gives the compositiona wonderful dimension. I love nature and pictures that capture the right experience!